Following a pot of coffee and a quick breakfast, Leanne and I took Oscar for a walk, with a quick stop to the Home Hardware in the Glebe. I like going there with Oskie-boy because it’s one of the few stores in Ottawa that he is welcome. 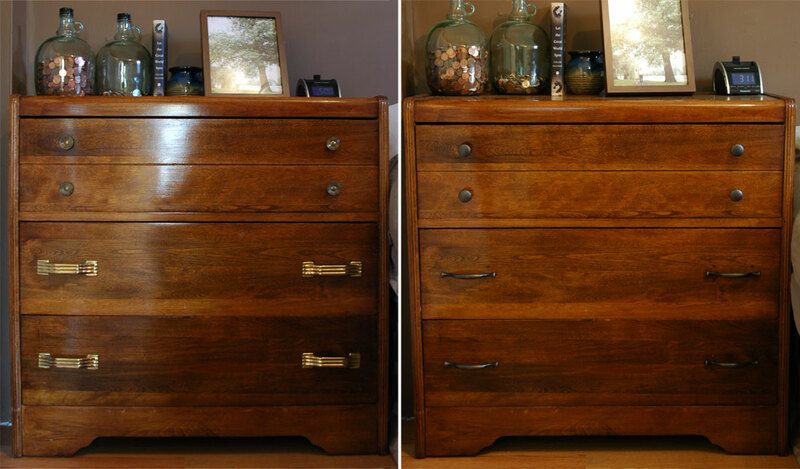 Last weekend Leanne’s mom handed us down an old dresser she inherited from her father — the wood grain looked awesome, but the brass handles and knobs had to go. 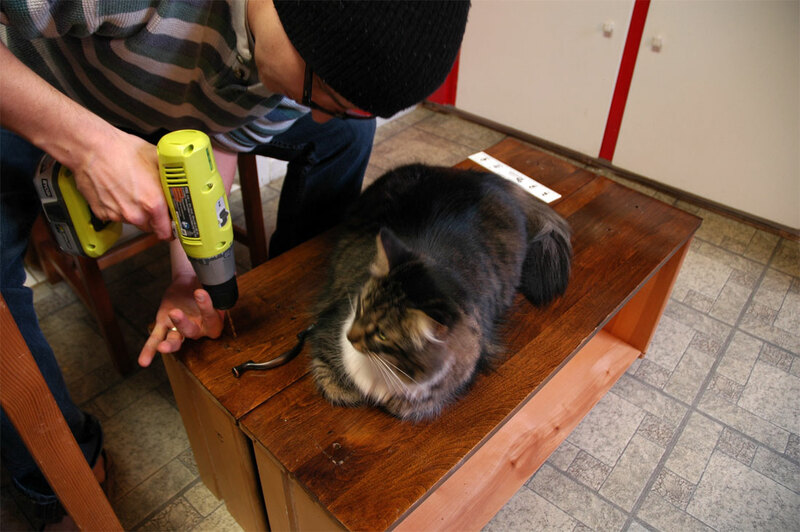 This was a quick and easy DIY project, especially with the help of Marty cat. The only hassle was to find handles with mounts that fit the width of the existing holes, which turned out to be impossible with hardware from the 70s. I ended up making new holes, and used the new hardware to cover the old ones. All said and done, it cost us $30 and took less than 20 minutes. Too easy. 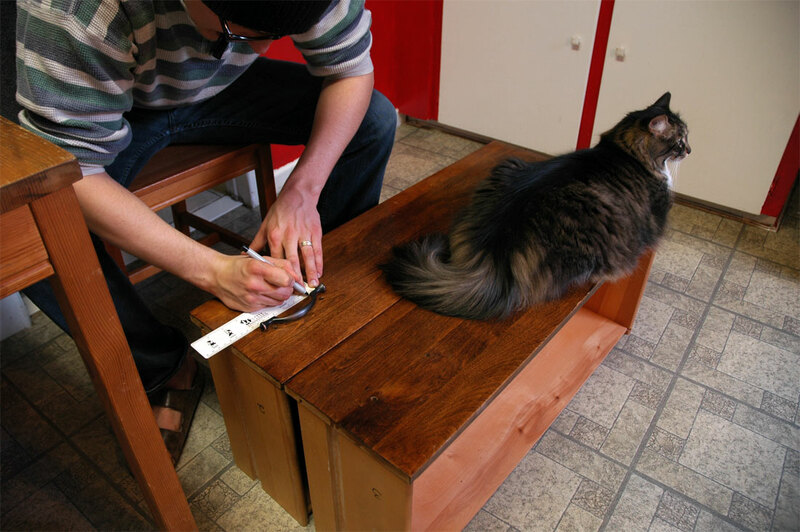 Helpful hint: Rub a walnut on wood blemishes to make them disappear!